Is there a song you know so well that, if someone sings it even a little bit differently, you notice? How did you learn the song? Almost certainly it was by hearing it over and over again and maybe singing along. You have probably taught your child several little songs, without even being aware of it, by singing them over and over again - just as your parents may have done with you. Imagine how few songs you and your children would know if you'd had to learn them all from notation, without hearing them first! Most people need to listen to a tune several times in order to sing it or play it by ear, but let's also consider how repeated listening can help with learning to play from notation too. We'll focus on James, aged eight and a half, who may be expected to learn and then practise a piece correctly just by reading the notes. That's quite a tall order for one so young. As James gets better at reading music, he will be able to work out independently how a new piece should sound and he will become better at avoiding mistakes but, until then, he needs a bit of extra help. How does James learn pieces? James listens in the lesson to how the piece goes and he remembers for a while, but this is short-term memory and, by the time he gets home, he will have forgotten exactly how it should sound. (Try recalling yesterday's shopping list if you didn't write it down - that's short-term memory and it's not very reliable, even after 24 hours ... but then try remembering the ingredients in your favourite dish that you have cooked many times - that's long-term memory, easy and trustworthy.) James has to have heard the piece many times before he has a reliable aural image of how it should go. Then he will be able to match up the notation with what he expects to hear - and practise it correctly. The more a student sees notation that relates to music he knows, the more he will expect the written score to represent something meaningful. There's a useful analogy with reading text. Those of you who have listened to a young child who is struggling with reading may have heard her say each of the words in exactly the same tone of voice, with no expression. The sentences are disjointed and don't flow, so they don't make good sense. The same thing happens when a child doesn't understand a piece or song well enough to do more than just produce the sounds. Listening to the music first, several times helps the child to play or sing with a more musical sense of phrase and meaning. If you take your child to music lessons, try asking the teacher if you may use your phone to record her playing the piece or singing the song during the lesson. Alternatively, you may be able to buy an mp3 download of the music, particularly if it's an exam piece, or you can ask the teacher to suggest a good Youtube video so that your child can watch as well as listen, over and over again. The E-MusicMaestro Youtube channel demonstrates stylish interpretation and sound instrumental technique in ABRSM and Trinity piano exam pieces. Repeated listening will not prevent your child from learning to read music; on the contrary, listening while following the music score will empower him to make better sense of notation. At home, you can do this together and you could ask him to explain to you how the notes represent the music - putting a concept into words helps to consolidate understanding. How can you be sure your child will still learn to read music? 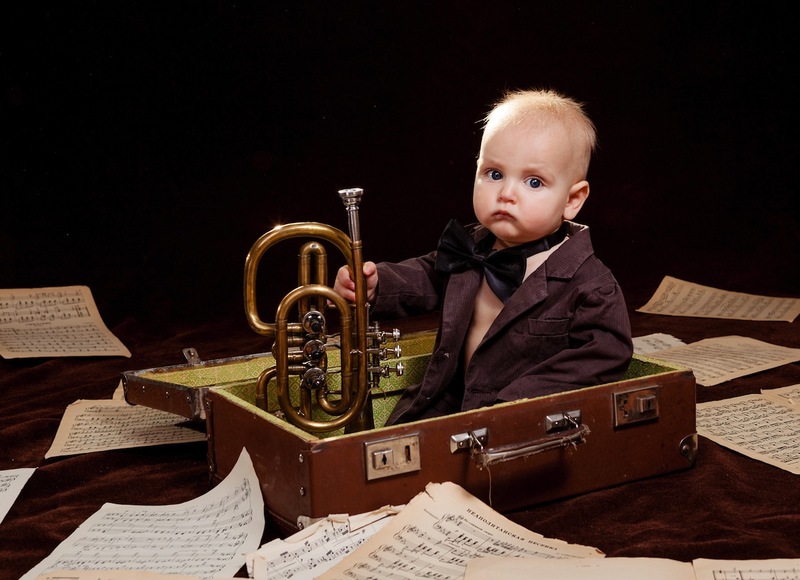 You may find that your child begins to play the piece from memory, without using the music, as he gets to know it well. The ability to memorise is a good skill to have, so it should not be discouraged. The music teacher will have shown your child how to understand the notation in the initial learning stages of the piece and she will be helping him to read music in other contexts too, such as in sight reading practice. Music reading is very important so good teachers will not neglect to teach it. If your child is successfully learning to read at school he will already be matching sounds with symbols so there is no reason why he should not begin learning to read music. Should you be aware that your child has been diagnosed with dyslexia at school, do mention this to the music teacher. Dyslexia affects music reading too and a good teacher will adapt her teaching accordingly, to give your child the best chance of fulfilling his musical potential.